It’s now possible to image an entire fly brain in just a few days, according to a new study—this might sound like a long time, but is in fact an incredible accomplishment, when you consider that the process would otherwise take weeks. Brains aren’t easy to study—the human brain, for example, contains over 80 billion cells linked via 7,000 connections each, according to the new study published in Science. Even the far smaller fly brains are an incredible challenge to study comprehensively. The new research combines two microscopy methods to image and examine brains like never before. “It’s a new tool for trying to understand biological tissue, and not in a single cell context, but in a complete multi-cellular context at high resolution,” Eric Betzig, physicist and Nobel Laureate working at the Janelia Research Campus of the Howard Hughes Medical Institute, told Gizmodo. The researchers combined two kinds of microscopy, called expansion microscopy and lattice light-sheet microscopy, in order to image the fly brain. Expansion microscopy involves first marking interesting features in a sample with fluorescing proteins, and then linking them with a polymer gel. An enzyme digests the tissue, and then the scientists add water, causing the polymer to grow and retain the shape marked by the fluorescing proteins. In this case, they grew the sample by four times. But imaging the expanded fly brain would require approximately 20 trillion voxels, or 3d pixels, which would take weeks for an electron microscope to image. The team decided to combine expansion microscopy with another imaging method, called light sheet microscopy. This uses thin, flat sheets of laser light and images the sample in flat sections, allowing for a faster process that also reduces background noise. Even Betzig didn’t think the method would work at first, he told Gizmodo, but when he viewed the results, he was “shocked” by the faithfulness of the expansion. Indeed, they were able to combine the methods to create high-resolution images, down to tens of nanometers, according to the paper. But the research is nowhere near being able to create similar images of human brains, explained Betzig. They’re extending the method to (and have successfully imaged small pieces of) mouse brains, but a fly brain versus a mouse brain is the equivalent of “going from a mud hut to the Empire State Building,” he said. The researchers think they may soon be able to image multiple fly brains quickly and with incredible resolution. This is exciting, mainly because brains can vary by the individual, and comparing lots of brains could potentially teach us more about how these incredible feats of biology truly work. One way to deter harmful recreational drug use by teenagers is to treat them like adults. Rather than simply tell them to “Just Say No” to alcohol, tobacco or illicit drugs, it may be more helpful to explain how these substances create unique risks for them — risks that arise due to the changing state of the adolescent brain. It’s an approach recommended by Dr. Robert DuPont, the first director of the National Institute of Drug Abuse, the second White House “drug czar” and the current head of the Institute for Behavior and Health. It should come as no surprise, then, that Americans in their 30s and 40s who used recreational drugs as teenagers are the group most severely affected by opioid overdoses today. Unfortunately, neither the media nor popular culture adequately informs young people about the neurological damage alcohol, nicotine, and marijuana can inflict on the brain. On the contrary, despite strong evidence that early recreational drug use increases the likelihood of future drug addiction, the media and today’s culture often describe marijuana use as an “organic,” “natural” approach to anxiety and stress management. Indeed, Northern Michigan University launched the nation’s first medicinal plant chemistry major, offering students the chance to focus on marijuana-related studies. What message does that send to the still-developing minds of college students? One group is taking a non-traditional approach to convincing students otherwise. One Choice is a drug prevention campaign developed for teenagers by the Institute for Behavior and Health. It relies on cutting-edge neuroscience to encourage young Americans to make decisions that promote their brain health. Pioneered by Dr. DuPont, One Choice specifically advocates that adolescents make “no use of any alcohol, nicotine, marijuana or other drugs” for health reasons. The theory is that adolescents who make the decision not to use alcohol, nicotine, or marijuana at all — that make “One Choice” to avoid artificial, chemical brain stimulation — are far less likely to wind up addicted to drugs such as opioids later on. The One Choice approach is evidence-based. In 2017, scientists at Mclean Hospital and Harvard Medical School published their findings on the impact of early substance use on cognitive development. They explained that the brains of teenagers are still developing and can be negatively impacted by substance use. 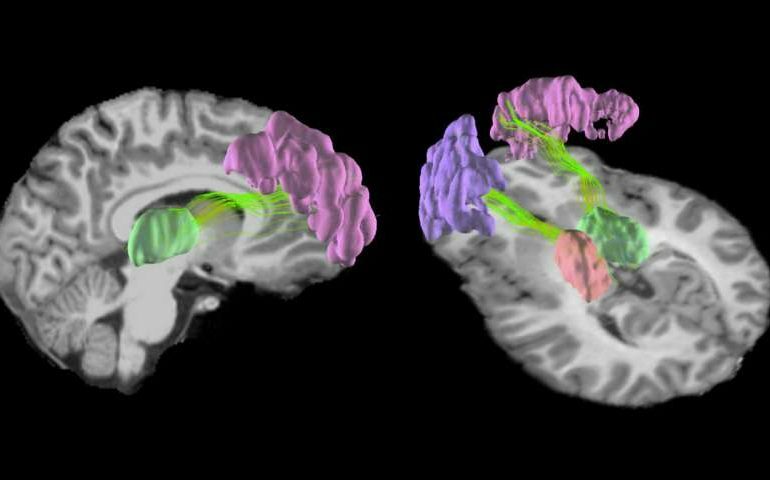 Adolescent brains are still forming the communication routes that regulate motivation, stress and habit-formation well into adulthood. As such, it is easier for substances to hijack and alter those routes in developing brains than in adult brains. Hindering the vital attributes of habit formation, stress management and motivational behavior can drastically affect a young person’s academic performance. Collectively, and in the long run, that can impair the competitiveness of a national economy. Thus, it is crucial that young Americans learn to prioritize brain health. The timing for the innovative One Choice approach is propitious. Today’s young Americans are more interested in biology, psychology and health sciences than ever before. According to the National Center for Education Statistics, the field of “health professions and related programs” is the second most popular major among college students, with psychology and biological or biomedical sciences following as the fourth and fifth most popular, respectively. By explaining developmental neuroscience to teenagers, One Choice engages young people on a topic of interest to them and presents the reality of a pressing public health issue, instead of throwing moral platitudes and statistics at them. Pro-marijuana legalization organizations, such as the Drug Policy Alliance, agree: “The safest path for teens is to avoid drugs, doing alcohol, cigarettes, and prescription drugs outside of a doctor’s recommendations.” And certainly honesty, along with scientific accuracy, is critical if we are to persuade adolescents not to use drugs. Brain health is critical to the pursuit of happiness. And leveraging scientifically accurate presentations and testimonies to convince young Americans to prioritize their own brain health early on can prevent future substance abuse. We know that neuroscience forms the groundwork for artificial neural networks and in other machine learning applications. Now, this fascinating field surrounding the structure and function of the nervous system and the human mind is playing an important role in improving these applications. Researchers have found out that psychoanalysis — the brainchild of Sigmund Freud — has the potential to bring a fresh face to neuroscience. If we compare neuroscience with psychoanalysis, certain aspects do match. To break it down, neuroscience deals with the connections or “dialogues” between the brain and the nervous system, while psychoanalysis deals with psychopathology through interactions between a patient and a psychoanalyst. Both fields intersect at the functional level. Instances like thoughts which stem from the nervous system, gaining knowledge through this as a consequence, perception with emotions, etc, share a mutual area when it comes to understanding these two fields. The above view has garnered strong criticism among neuroscientists because there is no exact evidence establishing a relationship between the two. However, there is a slow uprising in the connection between psychoanalysis and neuroscience. In an article by science journalist Kat McGowan, she details how psychoanalysis could answer problems lingering in neuroscience. Psychoanalysis has insightful, provocative theories about emotions, unconscious thoughts and the nature of the mind. Neurobiology has the ability to test these ideas with powerful tools and experimental rigour. Together, the two fields might finally answer the most elusive question of them all: How is it that dreams, fantasies, memories and feelings — the subjective self — emerge from a hunk of flesh? So, the brain structure is simply a hotbed of cognitive activities. Psychoanalysis specifically delves into this and can uncover more than what lies underneath the network of billions of neural connections. One of the key elements Freud’s psychoanalysis is the concept of the ‘unconscious state’. What started as a link to unearthing schizophrenia, is now the subject of many studies. In fact, most of them lean toward neuroscience rather than towards psychology, when it comes to deciphering this grey area. The relationship between neural connections and psychological disorders can explain in detail about why the disorder prevails in the first place. By hinging on this fact, there could be a relation to discovering more on neurons, as these form the basis of subjects such as deep learning. As a matter of fact, one study that looked into the aspect of brain connectivity posits why neuroscience is following the path of psychoanalysis. In recent years, there has been an increasing interest, in unconscious processes; neuroscientific studies have, in fact, tested subliminal perceptions, implicit cognition, emotion processing and interoceptive perceptions with empirical methods. Though many studies indicate that unconscious processes influence awareness, the cognitive view of the unconscious differs from the psychodynamic notion of the unconscious, which encompasses affect and motivation. What the study brought out was how psychoanalysis and neuroscience can concur in their approach and lead to an improved scientific temperament. With psychoanalysis brought into neuroscience, it can answer the mystery behind areas such as machine learning or even deep learning. These areas extensively derive their working based on the human brain. To stress on this point, the key difference between these AI fields and psychoanalysis is the computational factor. While ML or DL is focusing on learning something new, it gradually will follow the footsteps of a computer. This ‘logical’ component misses the ‘biological’ component. Psychoanalysis is where it could help bridge this gap. After all, the essence of mind going into AI is the norm of ‘intelligence’. As a matter of fact, challenges in these fields could be envisioned in a very different way if emotions and thoughts are brought into the picture. For example, a better model or algorithm could be designed as well as memory requirements are brought down drastically. We see enormous amounts of data going through ML/DL projects. The Freudian field may hold answers ML/DL in the future by evolving into something unknown or unexplored. The brain is built of white matter, long neural wires that pass messages back and forth between different brain regions, and grey matter, tight nets of neurons that give the brain its characteristic wrinkles. Recent MRI studies have shown that playing a season or two of high school football can weaken white matter, which is mostly found nestled in the interior of the brain. Liu and his team wanted to know if repetitive blows to the head could also affect the brain’s gray matter. A transparent set of electrodes enables researchers to simultaneously record electrical signals and visualize neurons in the brains of awake mice1. Syncing neuronal signals with videos of neurons helps researchers map those signals to particular sites in the brain. The technology could yield insights into how the brain works and what goes awry in conditions such as autism. 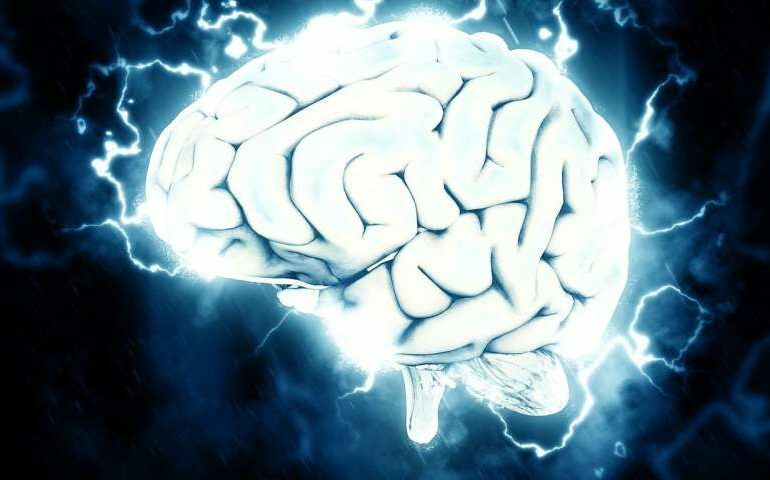 Two-photon calcium imaging and electroencephalography (EEG) are both popular tools for studying the brain, but combining them has proved challenging. In the former technique, researchers tag calcium ions with fluorescent proteins. When neurons fire, a microscope picks up the fluorescence as calcium ions rush into the cells. EEG requires inserting a recording electrode into the brain. However, the electrode blocks light in the area from reaching the microscope. In the new study, researchers built electrodes that transmit light. They layered a metallic material into a flat plastic mold, roughly the size of a single neuron, that is studded with hundreds of plastic spheres. The material fills the space around the spheres, creating holes that allow light to pass through. A migraine is much more than just a bad headache. Migraine symptoms, which can be debilitating for many people, are the sixth leading cause of disability, according to the World Health Organization. While there is no cure, a new study published in Cephalalgia in March shows single-pulse transcranial magnetic stimulation is a new way to prevent migraine attacks. It’s safe, easy to use and noninvasive. Researchers at Mayo Clinic and other major academic headache centers across the U.S. recently conducted the study that examined the effectiveness of using a single-pulse transcranial magnetic stimulation device to prevent migraine attacks. The eNeura SpringTMS Post-Market Observational U.S. Study of Migraine study, also known as ESPOUSE, instructed participants to self-administer four pulses with the device in the morning and four pulses at night over three months to prevent and treat migraine attacks as needed. Spring TMS stands for Spring transcranial magnetic stimulation or sTMS. The U.S. Food and Drug Administration already had approved the sTMS device for the acute treatment of migraine with aura. The FDA now has approved it to prevent migraine, as well. Can Neuroscience Teach Robot Cars to Be Less Annoying? Robot cars make for annoying drivers. Relative to human motorists, the driverless vehicles now undergoing testing on public roads are overly cautious, maddeningly slow, and prone to abrupt halts or bizarre paralysis caused by bikers, joggers, crosswalks or anything else that doesn’t fit within the neat confines of binary robot brains. Self-driving companies are well aware of the problem, but there’s not much they can do at this point. Tweaking the algorithms to produce a smoother ride would compromise safety, undercutting one of the most-often heralded justifications for the technology. It was just this kind of tuning to minimize excessive braking that led to a fatal crash involving an Uber Technologies Inc. autonomous vehicle in March, according to federal investigators. The company has yet to resume public testing of self-driving cars since shutting down operations in Arizona following the crash. If driverless cars can’t be safely programmed to mimic risk-taking human drivers, perhaps they can be taught to better understand the way humans act. That’s the goal of Perceptive Automata, a Boston-based startup applying research techniques from neuroscience and psychology to give automated vehicles more human-like intuition on the road: Can software be taught to anticipate human behavior? “We think about what that other person is doing or has the intent to do,” said Ann Cheng, a senior investment manager at Hyundai Cradle, the South Korean automaker’s venture arm and one of the investors that just helped Perceptive Automata raise $16 million. Toyota Motor Corp. is also backing the two-year-old startup founded by researchers and professors at Harvard University and Massachusetts Institute of Technology. This predictive aspect of self-driving tech “was either misunderstood or completely underestimated” in the early stages of autonomous development, said Jim Adler, the managing director of Toyota AI Ventures. With Alphabet Inc.’s Waymo planning to roll out an autonomous taxi service to paying customers in the Phoenix area later this year, and General Motor Co.’s driverless unit racing to deploy a ride-hailing business in 2019, the shortcomings of robot cars interacting with humans are coming under increased scrutiny. Some experts have advocated for education campaigns to train pedestrians to be more mindful of autonomous vehicles. Startups and global automakers are busy testing external display screens to telegraph the intent of a robotic car to bystanders. But no one believes that will be enough to make autonomous cars move seamlessly among human drivers. For that, the car needs to be able to decipher intent by reading body language and understanding social norms. Perceptive Automata is trying to teach machines to predict human behavior by modeling how humans do it. Sam Anthony, chief technology officer at Perceptive and a former hacker with a PhD in cognition and brain behavior from Harvard, developed a way to take image recognition tests used in psychology and use them to train so-called neural networks, a kind of machine learning based loosely on how the human brain works. His startup has drafted hundreds of people across diverse age ranges, driving experiences and locales to look at thousands of clips or images from street life—pedestrians chatting on a corner, a cyclist looking at his phone—and decide what they’re doing, or about to do. All those responses then get fed into the neural network, or computer brain, until it has a reference library it can call on to recognize what’s happening in real life situations. Perceptive is working with startups, suppliers and automakers in the U.S., Europe, and Asia, although it won’t specify which. The company is hoping to have its technology integrated into mass production cars with self-driving features as soon as 2021. Even at the level of partial autonomy, with features such as lane-keeping and hands-off highway driving, deciphering human intent is relevant. Even if Perceptive proves capable of doing what it claims, Ramsey said, it may also surface fresh ethical questions about outsourcing life or death decisions to machines. Because the startup is going beyond object identification to mimicking human intuition, it could be liable for programming the wrong decision if an error occurs. It’s also not the only company working on this problem. It’s reasonable to assume that major players like Waymo, GM’s Cruise LLC, and Zoox Inc. are trying to solve it internally, said Sasha Ostojic, former head of engineering at Cruise who is now a venture investor at Playground Global in Silicon Valley. Until anyone makes major headway, however, be prepared to curb your road rage while stuck behind a robot car that drives like a grandma. “The more responsible people in the AV industry optimize for safety rather than comfort,” Ostojic said. A team of scientists today unveiled the discovery of a new kind of brain neuron called the rosehip cell. What makes this find important? It may be unique to the human brain – and it’s found in the same area thought to be responsible for consciousness. A team of international researchers consisting of dozens of scientists made the discovery after running complex RNA sequencing experiments on tissue samples from the cerebral cortices of two brain donors. The results were then confirmed with live tissue taken from patients who’d undergone brain surgery. Upon discovering the rosehip cell, the researchers immediately tried to replicate the finding using samples gathered from laboratory mice – to no avail. It appears the cell is specific to humans, or potentially primates, but the researchers point out they’re only speculating these neurons are unique to humans at this time. What matters is what the rosehip cell does. Unfortunately, the scientists aren’t sure. Neurons are tough nuts to crack, but what they do know is this one is belongs to the inhibitor class of brain neurons. It’s possible the rosehip cell is an integral inhibitor to our brain activity, and at least partially responsible consciousness. Some scientists believe that human consciousness has something to do with wrangling reality from the chaos inside our brains. It’s been shown that an infant’s brain functions much like that of someone on LSD – babies are basically tripping all the time. Perhaps these neural inhibitors develop as our brains grow and help us to separate reality from whatever babies are dealing with. But, of course, the real science isn’t quite as speculative. For the most part, the rosehip cell research is exciting because it’s filling in some missing pages in our atlas of human neural activity. The team intends to look for the rosehip cell in the brains of people who suffer from neurological disorders next – work that could lead to a vastly increased understanding of how the brain functions, and what causes it to break down. Summary: A new study reveals how smells we encounter throughout life are encoded in memory. The findings could help develop new smell tests for Alzheimer’s disease. There is a strong connection between memory and olfaction – the process of smelling and recognizing odours – owing to their common evolutionary history. Examining this connection in mice, Aqrabawi and graduate supervisor Professor Junchul Kim in the Department of Psychology at U of T found that information about space and time integrate within a region of the brain important for the sense of smell – yet poorly understood – known as the anterior olfactory nucleus (AON).